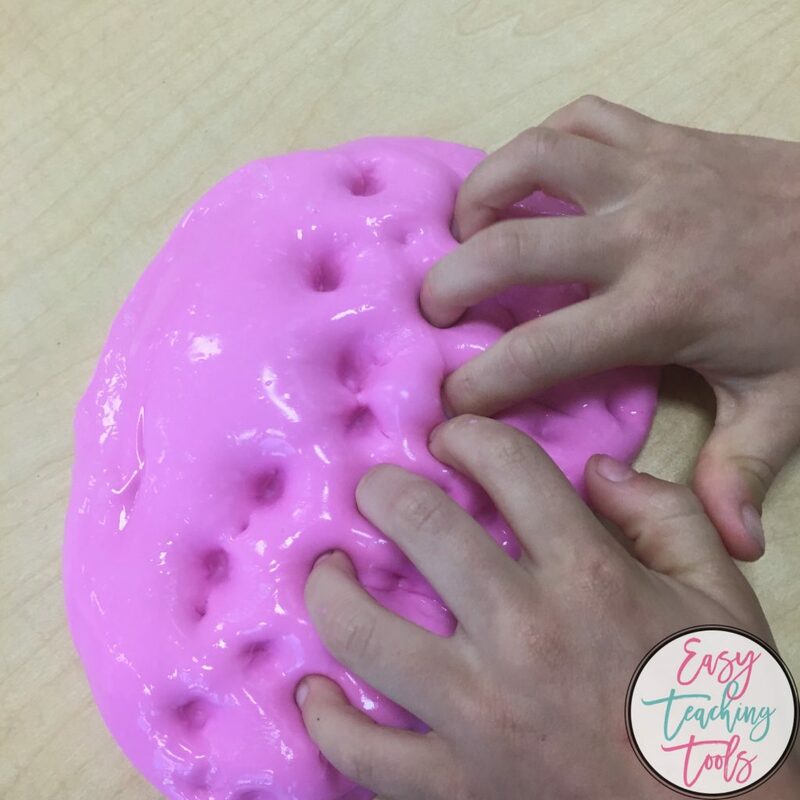 Do your students go crazy for slime? 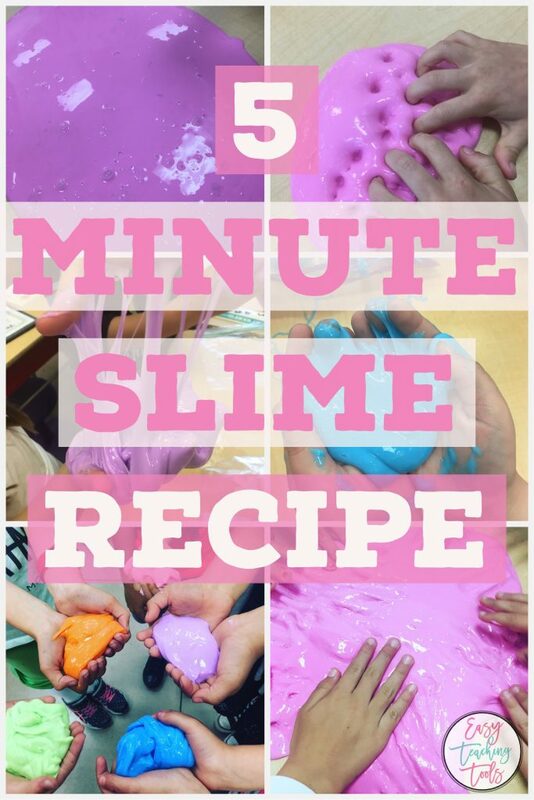 I’ve got an easy slime recipe that we’ve been using in our classroom for the last 4 years. It’s simple, isn’t messy, and is a perfect for a classroom party or Fun Friday activity. 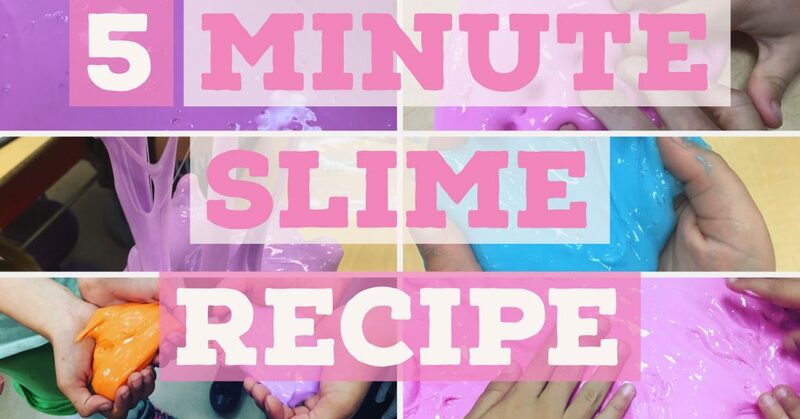 Find out how to make this easy slime recipe. This post contains Amazon Affiliate links where I’m paid a small fee from Amazon for sharing links. We typically make this in March and call it ooblek, but you can make it anytime! 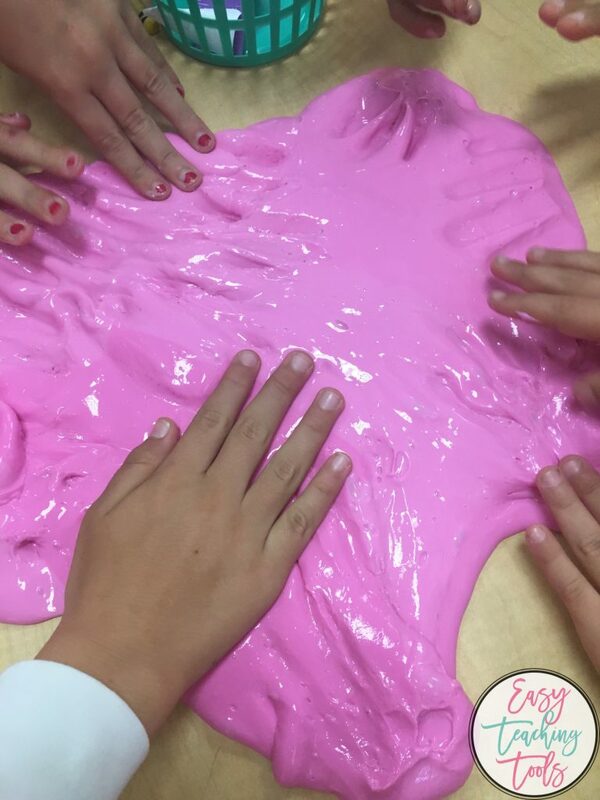 It’s easiest to have students make the slime in groups. We had 6 kids in each group, so we had 4 bags of slime. I gave each group two ziploc bags. I had them pour in one bottle of white glue and equal parts water. They chose the paint color they wanted and added a few drops. Each student took turns mixing the bag up. Tip: Make sure to get all of the air out of the bag before closing and mixing it up. We slowly added in about 4 oz of liquid starch. 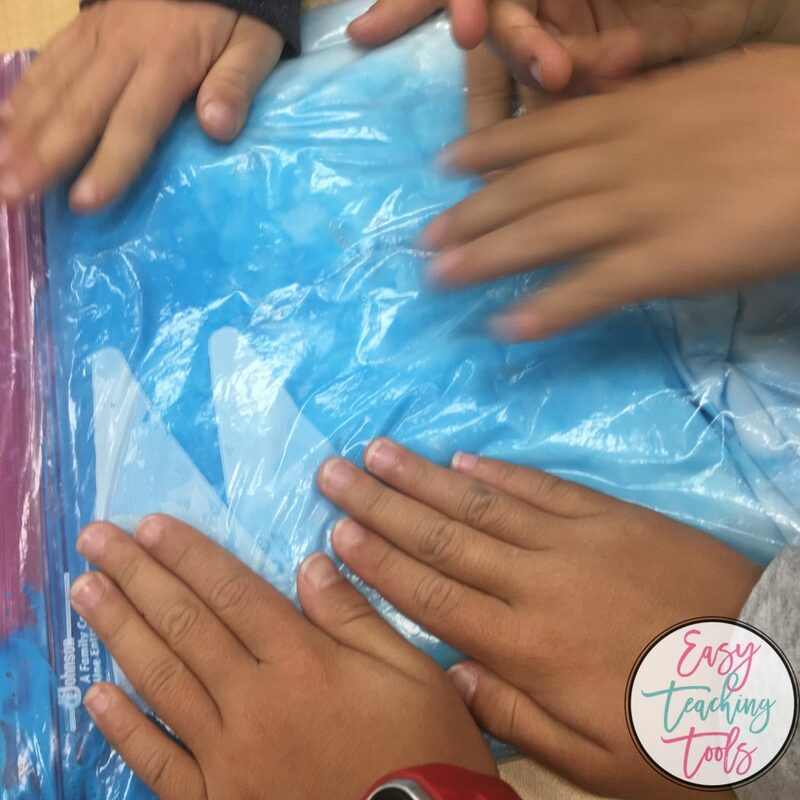 Students kept mixing the bag from the outside until the desired consistency was reached. Slime Tip: Double up the bags in case any slime spills out.